Hexisan weaponry combines speed, effectiveness and ingenuity. Their equipment is much smaller than Terran weapons, and far more durable. Hexisan Union weapons tend to be sleek, easy to carry and technologically advanced. They often also offer perks like guided systems, nanite tools and additional ammunition. Hexisan weapon owners tend to lean towards a lot of power in a compact device, unlike Terrans who enjoy displaying their bulky equipment. •SINGLE SHOT WEAPONS- SOME WEAPONS MAY ONLY FIRE ONE SHOT PER ROUND, NO MATTER HOW MANY TIMES THE USER SPLITS UP THEIR ACTIONS. WEAPONS SUCH AS ROCKET LAUNCHERS AND PLASMA CANNONS CAN ONLY BE FIRED ONCE PER ROUND. •SEMI-AUTOMATIC WEAPONS-ALL PISTOLS ARE CONSIDERED TO BE SEMI-AUTOMATIC UNLESS OTHERWISE NOTED. SEMI-AUTOMATIC WEAPONS MAY FIRE MORE THAN ONCE PER ROUND, BUT DO NOT HAVE THE BURST FIRE, FULL-AUTO OR SWEEP OPTION. •BURST FIRE- ONLY CARBINES AND RIFLES HAVE THIS CAPABILITY. BURST FIRE EXPENDS 3 SHOTS PER BLAST AND IS ALREADY FACTORED INTO DAMAGE ROLLS. •USING A SINGLE SHOT WITH A BURST WEAPON (BURST FIRE AS SINGLE): A CHARACTER MAY PERFORM THIS ATTACK WITH CARBINES AND ASSAULT RIFLES BY SWITCHING TO SINGLE FIRE. THE USER FIRES ONLY ONE SHOT INSTEAD OF A BURST, BUT TAKES A PENALTY IN WEAPON DAMAGE. THIS OPTION IS OFTEN USED TO CONSERVE AMMUNITION. There comes a time when every weapon reaches its zenith. When making it stronger is nearly impossible. For the Hexisan Union, try as they might, their engineers failed to harness a type of energy more potent and stable than plasma for their personal ranged armaments. Plasma is powerful, accurate and reliable. So, even after developers spent years slaving away at microwave rifles and ion blasters, it seems that Plasma was here to stay. So, what could weapon experts due to improve a weapon energy type that was faultless? The answer…enhance its launching design. Guided Plasma Weapons are the Hexisan Union’s response to the demand for a better plasma firearm. It launches powerful blasts of plasma that are guided until they reach a target. 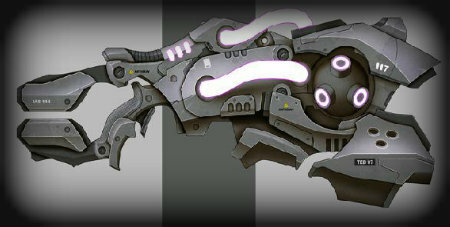 Once the trigger is pulled, hundreds of nanite cameras along the "barrel" of the weapon calculate the projected target. 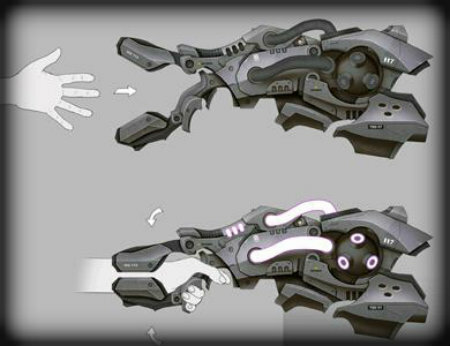 They then (within fractions of a second) adjust both the gun and the ammunition by first guiding the hand of the user (through means of an arm bracer) and then shaping the bolt so it can twist, arc or loop for maximum accuracy. Guided Plasma weapons also harness the power of Iridium, the most sturdy and light weight of all metals. The sleek design and palm recognition systems make firing Guided Plasma Weapons not only easy, but elegant. While owning one of these weapons is only for designated users, an alarming amount of Guided Plasma Weapons can be found throughout the Hexisan Galaxy. 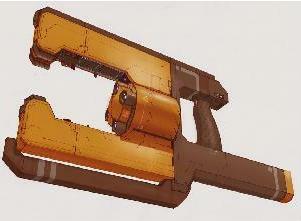 The Guided Plasma Pistol is similar to the Terran Heavy Plasma Pistol. It can char targets from medium rifle ranges with ease and carry 25 shots before its gas cylinder must be changed out. It is the sidearm of choice for Hexisan Law Enforcement and Military Forces. The Guided Plasma Carbine is the perfect combination of size and speed. Its automatic capabilities allow it to rapidly fire while not hindering its user with size or weight. The Plasma Carbine is often used in ship-to-ship battle, when space is limited, but fire power is essential. This weapon is considered to be burst firing (3 shots per use) unless used in full-auto or sweep mode. The Guided Plasma Rifle is similar to the Terran Heavy Plasma Rifle, combining max power, speed and distance into one weapon. It has a longer, more effective range than the standard Plasma Rifle, but can expend more energy from its shots by adding additional gas. This weapon can be used in semi-automatic mode without the "single fire as multi" penalty. This weapon is considered to be burst firing (3 shots per use) unless used to fire one shot or in full-auto or sweep mode. 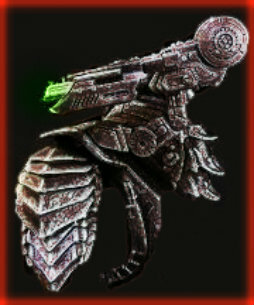 The Guided Plasma Cannon is similar to the Terran Plasma Cannon in many ways. Used to battle vehicles or ships, it fires large blasts of super-heated gas in a massive bundle, melting flesh, plastic or metal. Plasma Cannons can only fire single shots and take a few moments to cool down after shooting. They are highly illegal unless you are a licensed user. This weapon is a single shot weapon and can not be fired more than once per round. Smart Metal Weapons are the most sought after military hard ware in the universe. They are almost always bladed weapons, fashioned to resemble traditional melee armaments of old. Originally used to rescue victims of vehicle crashes, the Smart Metal Blades began being implemented more and more into modern warfare once military armors grew too far advanced for energy weapons. They are scarce and very expensive (due to the time it takes to craft each one), but nearly indestructible. Armed forces experts call them the ultimate combination of deadliness and beauty because of their remarkable efficiency as well as their grandiose appearance. Smart Metal Weapons are made of Iridium (also called “Star Metal”), the strongest, lightest and rarest of the alloys in the universe. Once the Iridium cools in its mold, the edges of the blade are filed through high power lasers. A plasma generator is then installed in the handle which at the press of a button, heats the Iridium alloys, transforming the blade into a "Smart" material or one that "remembers" its original cold-forged shape. This makes for an extremely scorching, sharp and deadly weapon that is nearly unbreakable. The weapon can be smashed onto hard rock, jammed between automatic doorways or ran over by large vehicles and still maintain its shape. However, even if the weapon does bend or chip during use, the plasma generator can simply be turned off in order to allow the temperature of the Iridium to cool and reshape into its preprocessed form in a matter of seconds. Smart Metal Weapons also have chemically blended Freon and Neon additives that help cool the Iridium after its use. The compound blends make the metal chill quickly, but also give the blade a colored glow due to the ion charge from the plasma. This creates a hypnotizing display that’s both stunning and frightening. Because Smart Metal Weapons are made of Iridium (“Star Metal”) and have such a dazzling shine, they’ve been nicknamed Star Weapons within the Hexisan community. Only licensed users may legally carry Smart Metal Weapons in both the Hexisan and Milky Way galaxies. Characters who do not have the "melee combat" skill can not use Smart Metal Weapons without severe modifiers due to their lightness and dangerous materials. A Smart Metal Dagger is a fighting knife with a sharp point designed or capable of being used as a thrusting or stabbing weapon. The design dates to most races’ prehistory, and remains part of modern day close combat confrontations. The distinctive shape and historic usage of the dagger have made it iconic and symbolic. A Smart Metal Dagger can be hidden easily in a boot, coat pocket or concealed sheath, but must be cooled off for a full metal after use before it can be returned without causing damage to its user. A Smart Metal Sword is a bladed weapon (edged weapon) used primarily for cutting or thrusting. 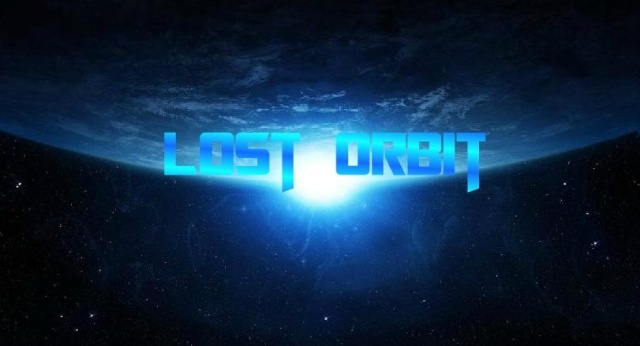 The precise definition of the term varies with the historical epoch or the geographical region under consideration. In the narrowest sense, a sword consists of a straight blade with two edges and a hilt. They are only concealable by long coats or coats. Smart Metal Swords are often used by “Sentinels”, the guardians of the Hexisan Council. A Smart Metal Spear is a pole weapon consisting of a shaft with a pointed head. The head may be fashioned in many different ways, but mostly consists of a piercing spearhead shaped like a triangle. A Smart Metal Spear can not be concealed, but is extremely lethal because of its reach. Many shock troops use Smart Metal Spears to close the distance on their targets, piercing their armors with ease. A Smart Axe is an implemented weapon that has been used for millennia to shape, split and cut materials or as a weapon. The axe has many forms and specialized uses but generally consists of an axe head with a helve. The Smart Axe is the original Smart Metal Weapon, created to cut through vehicle materials with ease in order to save injured passengers inside after an accident. They are not concealable on a person, but extremely deadly. 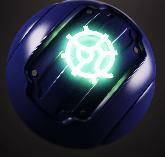 The Hexisan plasma grenade uses a massive plasma discharge to send super-heated energy out in all directions. 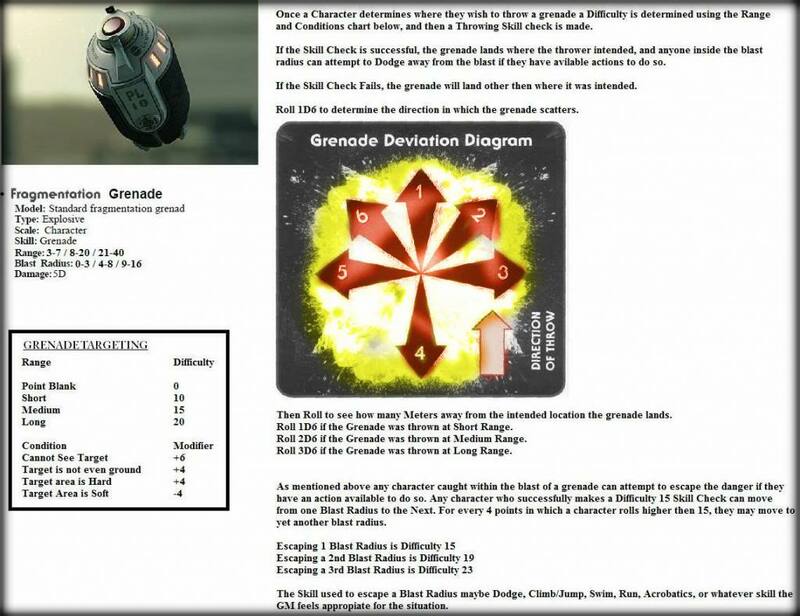 Due to high-tech engineering, the Hexisan Plasma Grenade is able to store more material inside, creating a larger explosion than Terran Plasma Grenades. Glow Mines, aka, Willowisps (nicknamed by humans), are a type of invisible psi-tech weapon that was developed decades ago. The small device is colorless and no larger than a marble, floating in place once armed. This mine can stay this way for years without issue, protecting vital strategic points and guarded secrets. 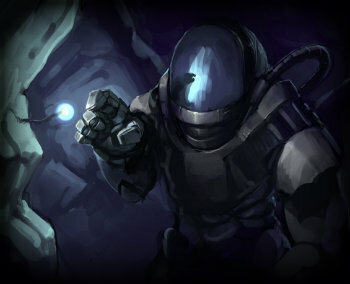 When an individual comes within a certain proximity of the mine, their kinetic energy is quickly collected by the mine, charging the device with hazardous force. 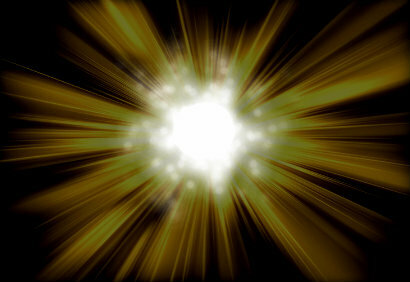 This process is what gives a Glow Mine its name, as the weapon appears to be nothing more than a glowing ball of light for the few seconds before it explodes. Once the mine has harvested enough power, it quickly errupts, destroying everything in a close proximity to it with particle -dissipating energy. The Canthion's bizarre relationship with electric is not just prominent in their home planet's frequent storms, psionics, and charged armor, it's also in their weaponry. The Canthion Thunder-Rifle is a common peasants weapon used for those who have not been trained in the coveted Canthion ability, electrokinesis. It uses a type of magnetic rock as a charge conduit to blast bolts of lightning at its targets. This electric not only does damage, but fries certain types of electronics. 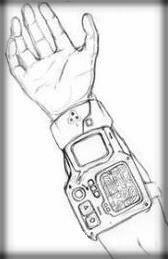 This highly technological weapon is rarely seen on the field due to its unpredictability. Yet, those who’ve mastered the piece of equipment insist that it is by far the most powerful instrument of war within the Hexisan Galaxy. The Pursuer utlizes highly precise sensors to find and destroy intended targets. The user must first lock on to a target, then they fire an advanced micro-drone that chases the intended mark until reaching within 1 meter of it. Upon reaching this distance, the micro-drone’s plasma core detonates, destroying the mark and anything around it. The micro-drone can turn corners, dive, and avoid obstacles. However, some critize that the Pursuer not only is overly destructive, but can often turn on its trigger-man if the sensors become faulty. Nonetheless, those who use the Pursuer stand by its power and tracking technology, claiming that the benefits far outweigh the risks. The Pursuer takes two actions to activate. The first is to point the weapon in a certain direction (msut be declared), then a “Sensor” check (Mechanical). The DC is the target’s to hit (base 10 or target’s dodge) with appropriate modifiers from the chart below. If the sensor check suceeds, the user merely needs to take a second action in order to fire the Pursuer (no roll necessary). HOWEVER, if the sensor check is unsuccessful, the explosive micro-drone either attacks the next closest target within 5 meters (be they friend or enemy), or if there is no target, the micro-drone moves 5 meters in the direction the gun was pointed, and detonates. If the user fails and rolls a 1 on the wild die, the mircro-drone targets the user. The Balidar Shoulder-Mount was created specially for the species due to their distinctive "knuckle-drag" walking style. It is a semi-autonomous shoulderpiece unit that holds the weapon, ammunition, and electronics on a small platform. The weapon can be linked by fiberoptics, cybernetics, or the user's data-band. Although this does free up the user's hands for walking, climbing, etc. , its drawback is that the Balidar Shoulder-Mount can not use "Smart-tech" (+1D to energy weapon skill). Special: Those who do not have the Energy Weapon specialization (Shoulder-Mount), receive an additional unfamiliarity penalty for firing the weapon of +11. This is immediately negated once a character takes the specialization.